The watch came in the wooden JORD box, which includes a few things like the spare links (if you have a watch sized before it's shipped) and a cleaning cloth. 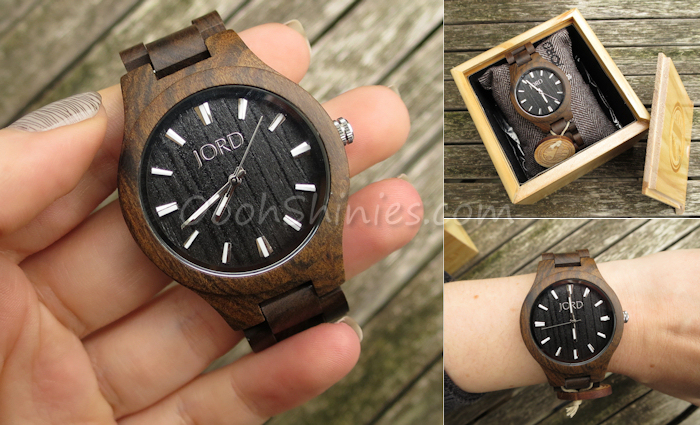 Fieldcrest is JORD's unisex watch and they offer it in 4 different wood combinations, but thanks to the natural material, each timepiece is unique, no matter which one you choose. 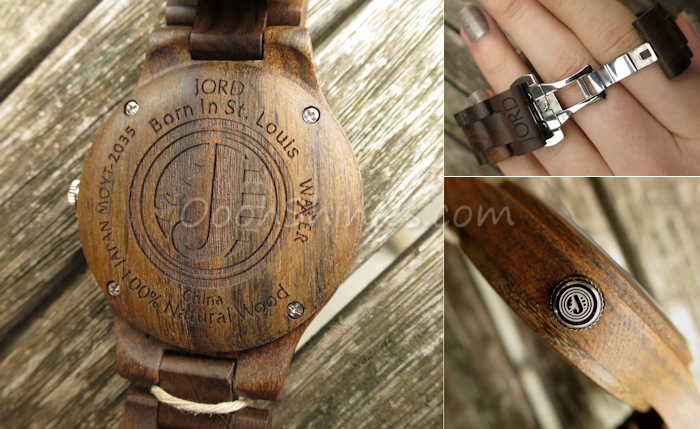 Besides their looks, I love how light these watches feel, and how the wood adapts to your temperature. It's there, but you hardly notice it! 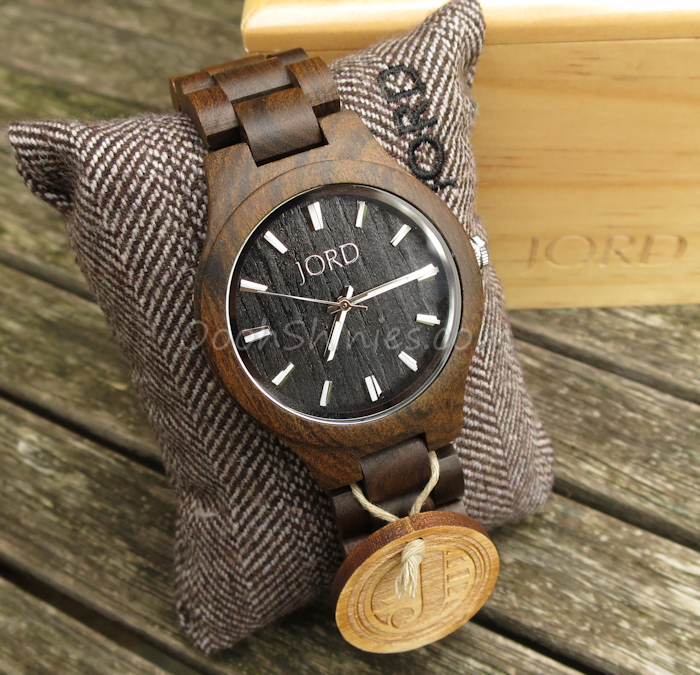 As with all JORD watches, there's a lot of attention to detail, which gives their beautiful watches that little something extra to make them even more special. On the top right here, you can see the watch half closed, with half the stainless steel clasp shown - the other half is below the piece of the band that has their name engraved. 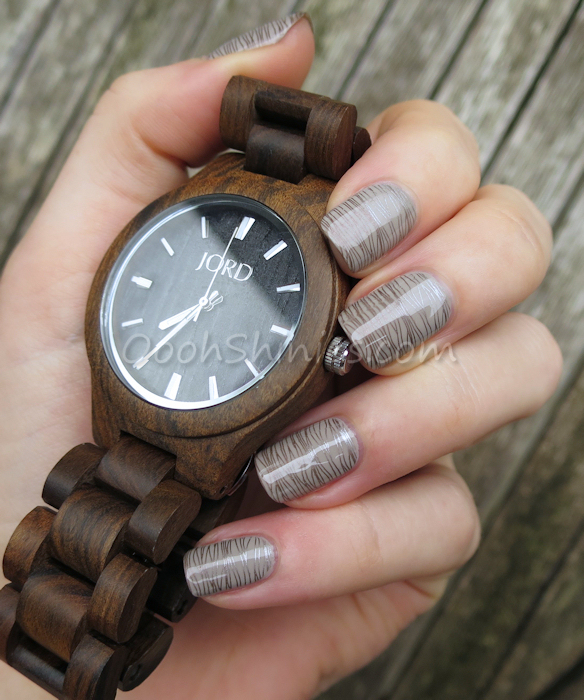 I went with a simple mani with two-toned stamping, but a watch like this will go with any kind of colors, the wood just blends in nicely with almost anything. I bet this wood looks amazing paired with turquoise! Essence No Doubt stamped with Essence Spicy, Kiko #617 Taupe and UberChic Beauty plate UC 4-03. I've partnered with JORD to giveaway e-gift cards worth $35.00 each for the holidays, yay! 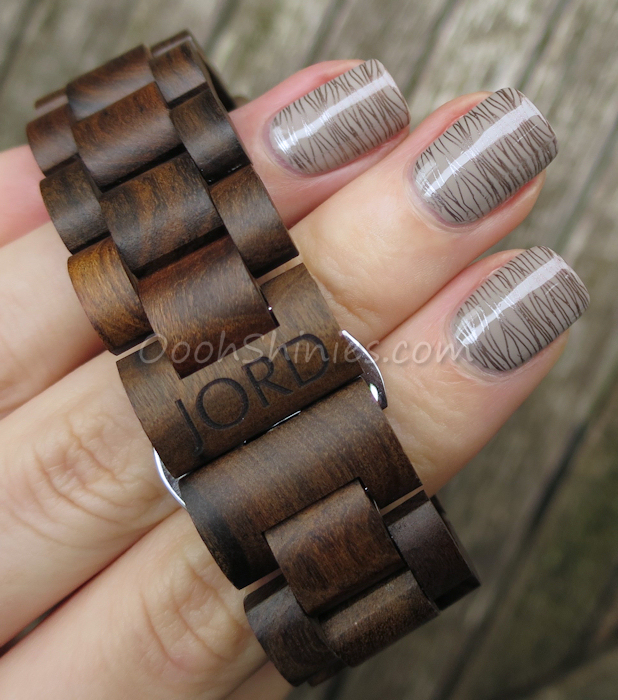 Entering is easy; click the link below - it will ask you for your email and your favorite JORD watch (and they have so many to choose from!). Once you hit enter your code will be emailed directly to you. 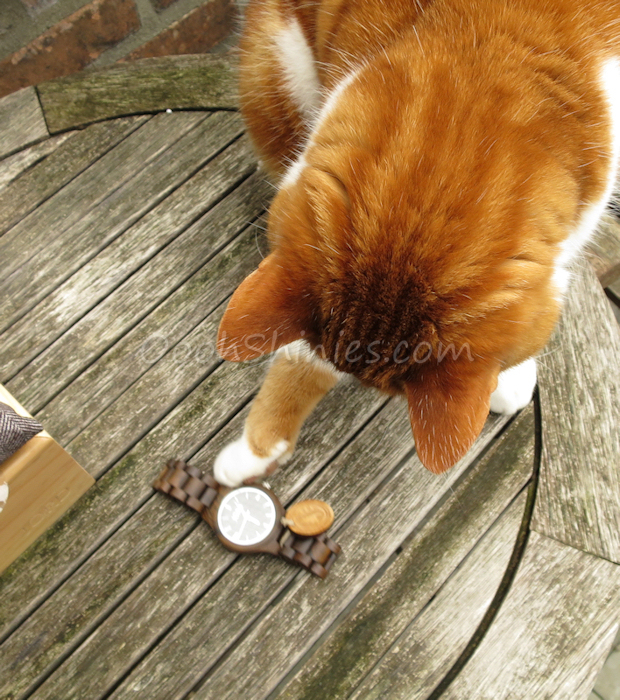 Please note though, there's a limited quantity available! 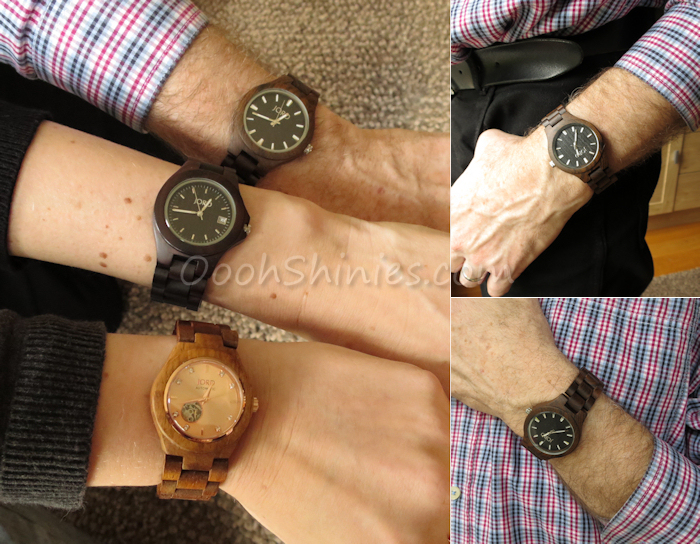 I think it's already clear from my posts that I LOVE these watches! How about you, do you feel the same about them? Thanks for looking and have a lovely weekend!